We've been creating extraordinary theatre for children and families since 1931. Join us. Evening & weekend events are open to the public. Weekday matinees are held for school, preschool, and homeschool field trips. TENNESSEE'S ARTS THRIVE BECAUSE OF YOU! 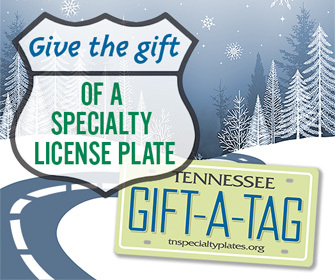 Specialty license plate sales help fund the arts across Tennessee! Buy one for your car, and a gift voucher to give one to your friends and family. In 2016, 87% of state funding for the arts came from the sale of specialty plates. Buy a specialty plate for yourself here. Buy a gift voucher for a friend here.